Following the outbreak of violence observed in Myanmar’s Rakhine state at the end of August 2017, hundreds of thousands of Rohingya have tried to cross the border to Bangladesh. According to UNHCR, the crisis represents the “world’s fastest growing refugee crisis” and is “a textbook example of ethnic cleansing”. With nearly a million Rohingya refugees who have settled along the border of South-East Bangladesh, the international community fears that Rohingya’s grievances might be exploited by extremist groups. 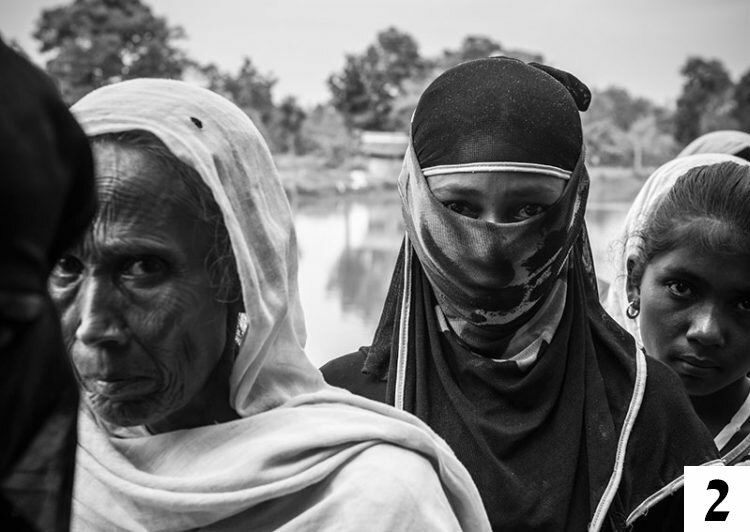 This report seeks to provide the reader with an overview – though not exhaustive – of the crisis by analysing factors which may influence in a medium to long term a possible Rohingya path to radicalisation. The first part of the paper will be dedicated to provide the reader with a historical excursus to understand the ever-increasing discrimination and violence Rohingya have been exposed to over the last decades. It will later seek to analyse whether the situation of the Rohingya refugees matches the criteria of grievances and unfulfilled needs described by the theories about the risk of radicalisation. In doing so, the paper comprises an accurate theoretical analysis coupled with research conducted on the ground. Field work consisted mainly of a qualitative analysis of the security context in Rohingya refugee camps and makeshifts. This has been possible by conducting a number of interviews and thematic discussions with different stakeholders – including local authorities, law enforcement and intelligence agencies, non-governmental organisations, and the refugees themselves – and most importantly, by putting the “foot on the ground” and experiencing the harsh living conditions refugees are currently exposed to. Field work has been supported by an in-depth OSINT analysis aimed at identifying initiatives undertaken by extremist groups – whether armed or not – to recruit Rohingya for their causes. Whilst several groups seem to be currently attempting to take advantage of the crisis, the report primarily focuses on the Arakan Rohingya Salvation Army (ARSA) – the best known ethno-nationalist insurgent group in Myanmar – as well as on the influence exercised by Al Qaeda, the Islamic State and Hizb ut Tahrir which seem to have played a role in the propaganda about the Rohingya.